Last year I was teaching a fantastic year seven English group. They were pretty able, and many of them really enjoyed reading. One of the main reasons that I wanted to teach English was because I think that young people should read more, and I really wanted to set a little scheme of work that would encourage reading. Surprisingly as an English teacher, there is little scope to push reading for pleasure usually – you are so focussed upon making sure that everyone is reaching their target levels that anything aside from the work at hand is simply superfluous – but I made a bit of a point of trying to produce this and run with it. The concept was simple. In a term, each of them had to read a book and write a review of it. In that time, I would attempt to read each of the books that they were reading and also write a review of each. If they collectively read more than me then I would throw them a party at the end of the year. If I read more than they did collectively, then they would do a handwriting lesson on the last day of term. In silence. I really enjoyed setting this up, and the concept was really well received, especially when – taking a cue from this little challenge here – I told them that I would post all of their blogs online. The problem was that the old levels issue came straight into play, and I didn’t really find the time to push this like I would have liked to. As a result, not many of them read their books, and I won the challenge with only about five or six books. I’d love to run another challenge of this kind at some point where the pressure is less on, but I have no idea whatsoever when that might be, if ever. In the meantime, I thought that it would make sense to transfer over some of these reviews to this book blog so that I have all of my books together. Shall make a couple of minor edits (one in particular simply has bits that I want to say about it that I would rather have not put on a blog that all my kids were reading), but aside from that try and keep them similar to how they appeared on the original. 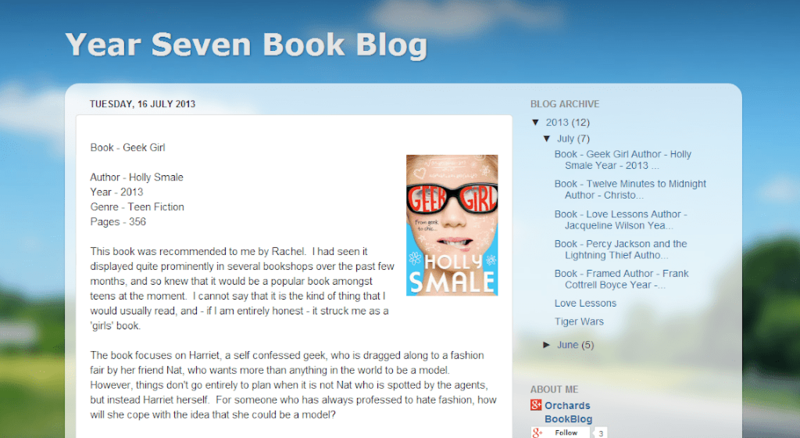 And if you are interested to see it, this is the blog for them with a few of their reviews. As I say, sadly unfinished, but feel free to check it out!